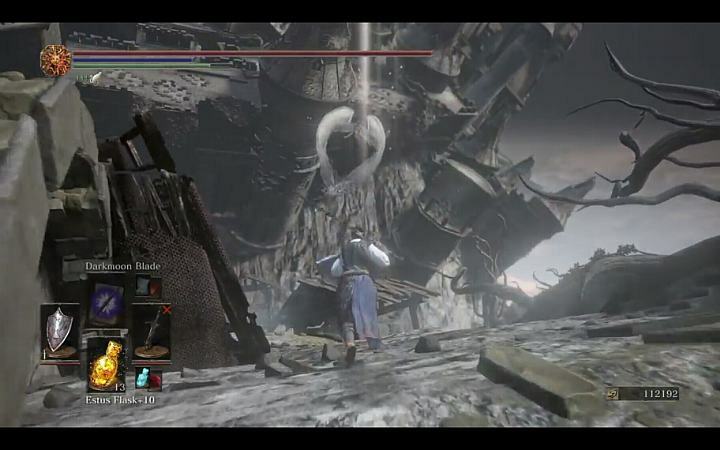 Like all good Dark Souls 3 DLC, the Ringed City has it's own secret entrance that players must find before they can explore this grand new area of the Dark Souls series. In this guide I'll show you exactly how to access the new area in just a few seconds. It's worth remembering that alot of you will no doubt be onto your up-tenth NG+ by now and that's certainly something I recommend for this DLC. 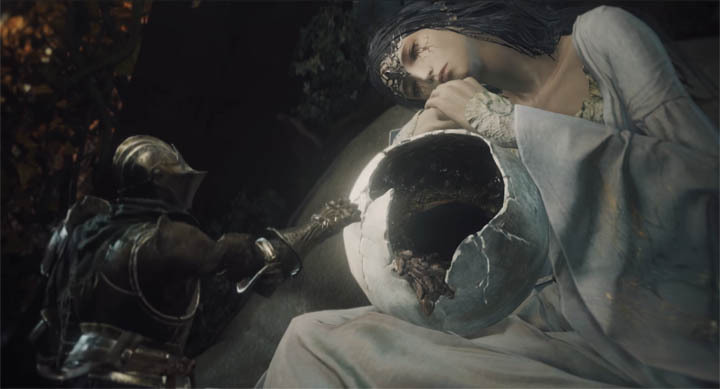 DS3 is a tricky game at the best of times and this new DLC is an unknown area so expect to be bludgeoned to death on many occasions. 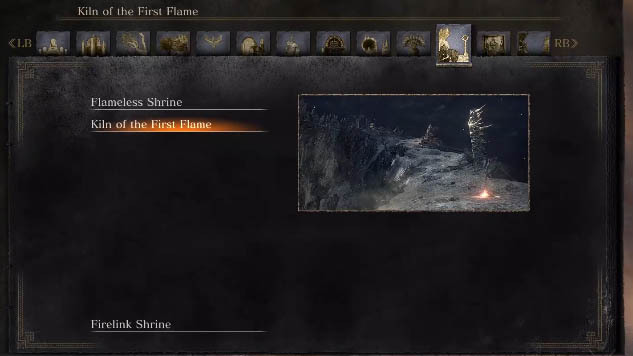 However, there are actually two ways to get to the new DLC area so even if you have started a new NG+ game and haven't beaten most of the DLC bosses, you can use the earlier bonfire to travel to The Ringed City. 1. Travel to "Kiln of the First Flame"
Use a bonfire to travel to the "Kiln of the First Flame" location, the Travel option is shown on the image below. 2. Travel to "The Dreg Heap"
Turn 180 degrees upon arriving at the Kiln and use the bonfire on the snowy slope to travel onwards to the next location "The Dreg Heap". 1. 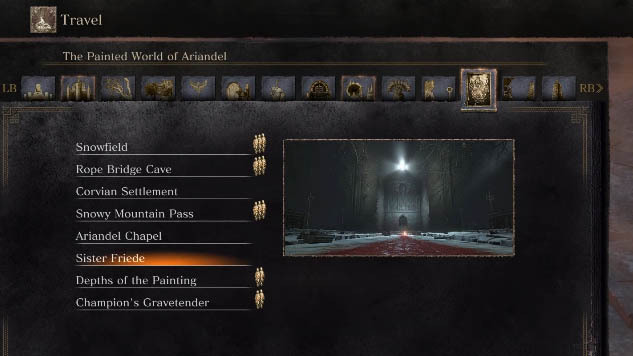 Travel to "Sister Friede"
Use a bonfire and select the Travel option from the menu and choose "Sister Friede" in "The Painted World of Ariandel". 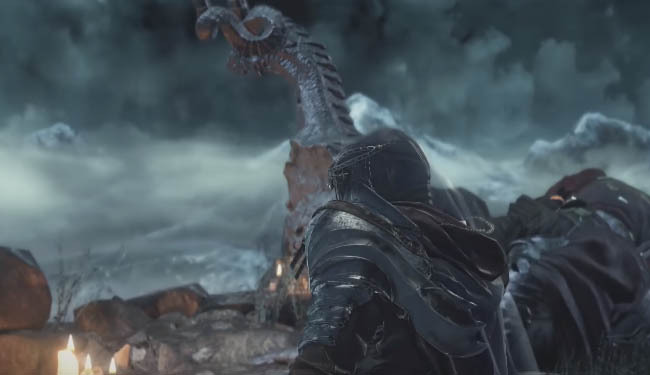 Upon arriving at "Sister Friede", turn 180 degrees and use the bonfire below the statue on the wall. This automatically takes you to "The Dreg Heap" once again. Congratulations you are now in the Ringed City DLC starting area - enjoy!